Lower Valley of Finca San Luis, facing south. In addition to the previously introduced farms of San Jorge and NataMaya, we are proud to introduce the third of four farms owned and managed by the Ortiz-Herrera family. Finca San Luis is a specialty coffee plantation, situated on the southern face of the Apaneca-Illamatepec mountain range, in Ahuachapan, El Salvador. The farm was established in 1958, and of its 77 total hectares, 70 of them are planted with the traditional Salvadoran coffee varieties of Pacas and Bourbon. The remaining seven hectares are dedicated to a forest preserve, that houses all kinds of indigenous plants and trees. The altitude of the farm begins at 1,125 meters above sea level, and runs up to 1,280 meters, with the majority residing at 1,200 meters. The structure of the farm runs east and west, with a larger width than length. It resembles the shape of the letter M, with two primary peaks overshadowing a central valley. The valley runs north and south through the middle of the farm, toward the Pacific Ocean, which is visible from the farm. The farm is shaded with a variety of tree, called pepeto, which is the most common shade tree in western El Salvador. 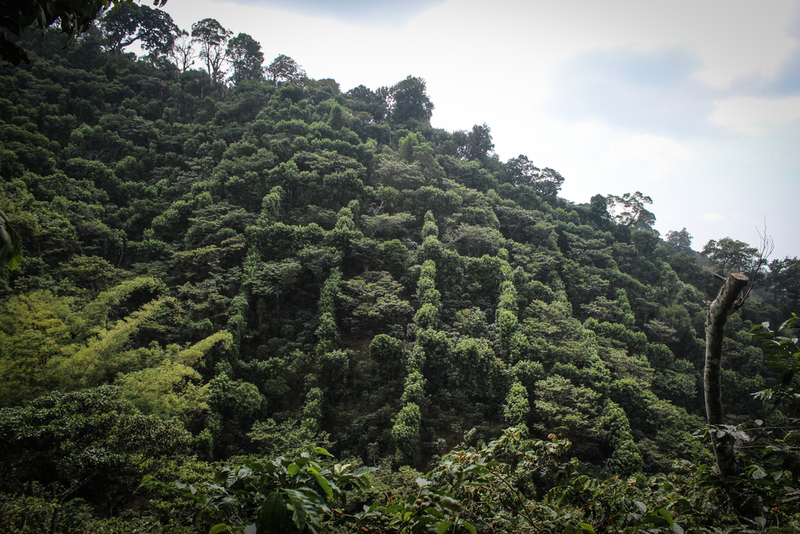 Windbreak trees are also planted in horizontal and vertical rows, called 'cortinas,' creating blocks around the coffee plants, protecting them from northern winds. This can be seen in the photo below. A river flows within the lower valley of the farm, and is fed from a 25 meter waterfall, forming the western boundary of the farm. working to uncover the everyday stories of coffee farming and milling. 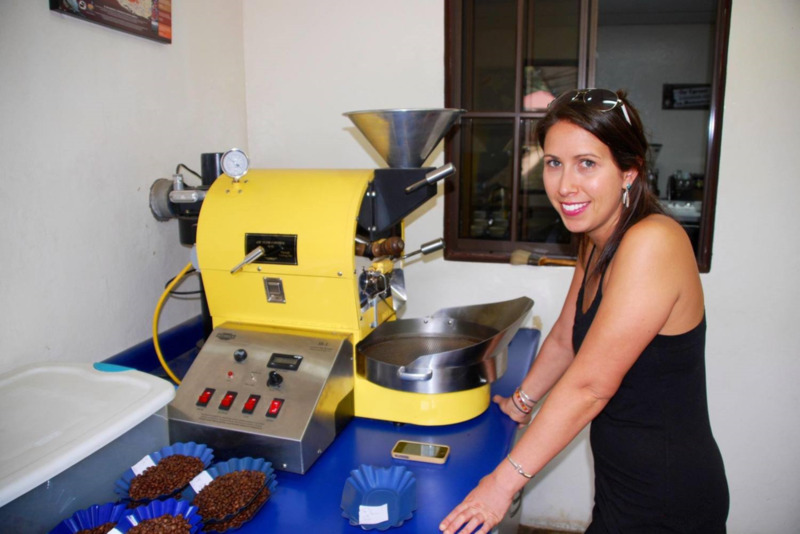 Dana is our Director of Coffee and Quality Control, and is in her third harvest with us. She follows the coffees from cherry to parchment, and oversees the cup quality and storage of every batch received at our mill. She then connects those coffees to our roasting partners around the world. Emilio is our Founder and General Manager. He has been our visionary and leader from the beginning. He oversees everything from fertilization in the farms to the delivery of coffee to all of our roasting partners. Copyright © 2014 Cuatro M, S.A DE C.V.